People would like to feel chill and whisk others away to a world of scares and spookiness. On Halloween’s day, Kids also prefer to make themselves up to play trick-or-treating. A number of Halloween kids music will be needed to create a scary atmosphere. Here list some fun Halloween music for kids, which will help you a lot on Halloween’s Party. For a spookier and fun Halloween party, here compiled a list of the best kid-friendly Halloween songs that the kids will fully enjoy. Fun Halloween music for kids will treat ears to some creepy classics and pay attention, they may get ready to have your socks scared off! This is a playlist of Halloween music for kids who are cute and tricky to enjoy gay music in a happy atmosphere. And these songs listed here are a perfect match as Kid Halloween music. The list includes 14 songs, such as “Zombie in the Dark”, “Scary bingo”, “Five little monsters”, etc. Let kids enjoy themselves much. This is one of the best Halloween kids music playlist that are so popular and classic. The songs included in this list are quite creepy and spooky that create a scary atmosphere to scare attenders at the party. It would be a lot of fun for kids who guise themselves for Halloween. This list of fun Halloween music for kids is somewhat scary and would be more loved by a lot of kids. They are more tricky and creative and enjoy themselves more on Halloween. In a party, they can play different roles with the background Halloween music to be personally on the scene. The list includes a lot of songs like “Halloween Night”, “Five little skeletons”, “Five little zombies” , etc. This list of scary Halloween music for kids is particularly for a party. All the songs listed here will bring much fun to all kids in the party since different kinds of kids music, almost all the well-known and prevailing songs, are concluded, including “Halloween monsters”, “The ghosts they walk tonight” and so on. This Halloween kids music playlist is particularly created for a party and most of the music is a perfect match for dancing. All the kids in the party can dance together as they like and have fun together. It is believed that the atmosphere of the party with such music played will highly impress these kids. Obviously, there are enough popular playlist for kid Halloween music. Nonetheless, you must have found that you can almost only buy and play them on iTunes on Apple devices. If you prefer to download the music and copy them to other devices, there would be some problems since the music in Apple iTunes are DRM protected. Under this occasion, you need help of the other tools, for example, the powerful DRM removal program Leawo Prof. DRM. 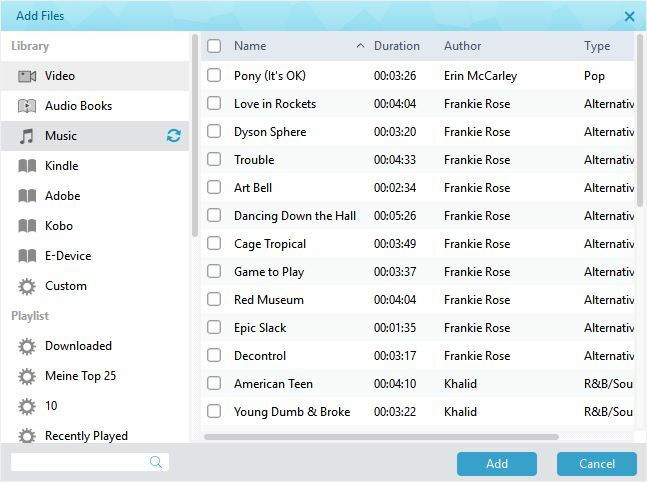 Prof. DRM is a professional program which is not only designed for DRM removal from iTunes videos including movies and TV show, but also to remove DRM from iTunes music and Spotify music, Audible Audiobooks and eBooks, what’s more, it can convert them to popular DRM-free files for better entertainment. Tips: Please make sure that you have authorized the computer by signing in with your Apple ID. And know that you are not allowed to open iTunes when the DRM is being removed. Launch the program and enter the main interface. Click on “Add files” on the sub-menu bar to pop up a panel where you could import the iTunes music to the program. View the imported music file under the category “music”. Select a music file and click the “edit” button to choose proper Channels, Sampling Rates and Bit Rates you need for the output MP3 audio file. At the bottom of the interface, click on “…” to choose an output directory for saving the DRM free MP3 music for kids. Click on “Convert” button at the bottom to start removing DRM from iTunes kid Halloween music and converting M4P music to MP3. In a second, you will get the DRM free MP3 music. Note: If you have not yet authorized the computer, you are required to authorize the computer first before the conversion begins. 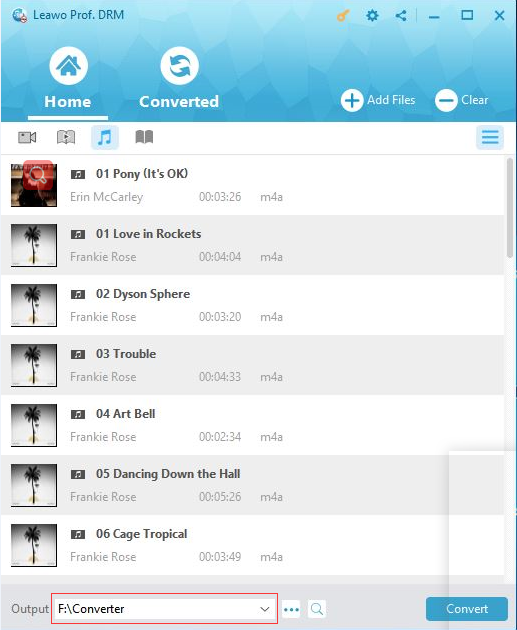 Finally, all the converted MP3 music files will be listed under the “Converted tab”. You can find and open the MP3 file here as well. 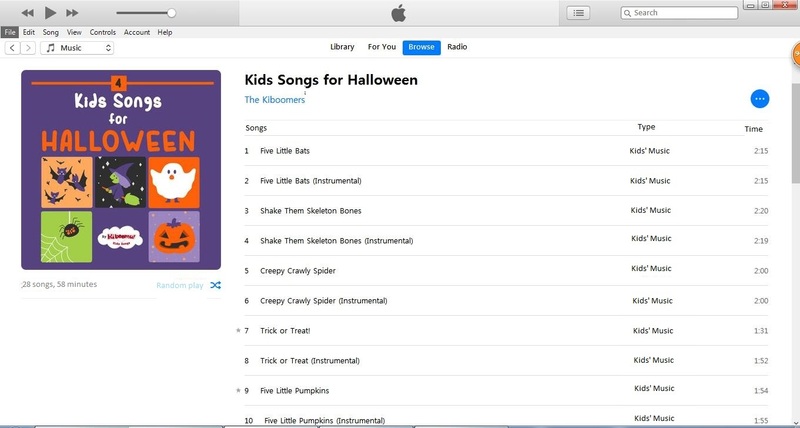 In the end, the Halloween music for kids now can be transferred to other devices and freely played on the spooky and scary Halloween party. 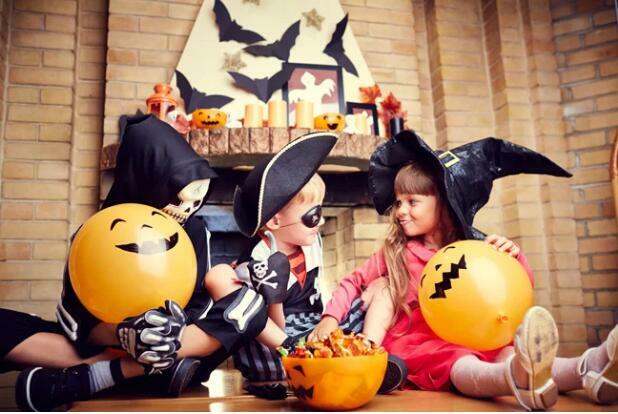 All kids in the party will be in full joy and get impressed in such a special Halloween atmosphere. Moreover, some YouTube Halloween music for kids are also available online. If necessary, you can get them played for Kids’ party as well.